Rajasthan is blessed with mesmerizing attractions which are countless in number. Step into any of the cities or villages of Rajasthan; each has something interesting to offer to its tourists. Rajasthan is in fact the most admirable tourist destination on the map of India. Tourism is one of the most important sources of income for the state. The credit goes to its attractions which can entice even the most jaded tourist. Imposing palaces, stunning havelis, massive forts, peaceful lakes, breathtaking adventure sports, refreshing gardens, ancient temples, beautiful pavilions, museum with rare and royal collections and towering monuments Rajasthan has so much to attract tourists. Undoubtedly Rajasthan is a paradise of rich heritage and natural beauty. Explore whatever you feel like! Some of the popular destinations are the City Palace, Amer Fort, Hawa Mahal, Jantar Mantar, Mehrangarh fort, the regal Umaid Bhawan Palace, Vintage and Classic Car Museum, Lake Palace, Fateh Prakash Palace, Jaisalmer Fort, splendid havelis, Camel Research Farm, Brahma temple (one of its kind temple in the world), Dargah Sharif (tomb), Lallgarh Palace, Gajner Palace, and Deshnok temple (a home to around 20,000 rats). Rajasthani art and craft has gained international recognition for its quality and beauty. Its bazaars are full of handicrafts. Each city has its own specialty to offer. The blue pottery and miniature paintings of the state are one of a kind and look incredible. The state is rightly called a Shopper's Paradise'. The fairs and festivals cater to unique concepts and are celebrated on a grand scale. Rajasthan has so much to offer to its traveler that it is difficult to mention them and their beauty in words. Be it royalty or simplicity, the state has it all in abundance. 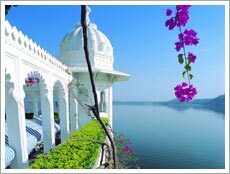 Go through our several tour packages of Rajasthan and take your pick and let the explorer in you take over!